The Kingdom of Eggstonia is happy and safe, whilst ever the evil Humpty Dumpty remains locked inside a giant egg, that sits on a Magic Wall created by Fairy Soufflé. Witch Salmonella returns and frees her servant Humpty from the egg, by making it fall from the wall. In order to prevent Salmonella from taking over. Humpty’s shell must be pieced together again, by all the King’s Men. But once piece has been taken away to Salmonella’s castle and time is running out. 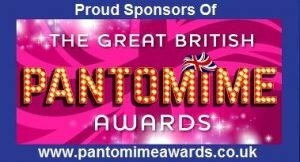 A cracking panto that will leave your audience eggstatic. 12 principals plus several small cameo roles and a chorus with many speaking lines. What a wonderful and peaceful place, Eggstonia is. We’re the happiest people in the whole world, aren’t we? Yes, and whilst ever Humpty Dumpty’s egg sits on the Magic Wall. Our happiness will continue. Then let’s hope it’s been super-glued into place. Hiya boys and girls! (audience respond) My name’s Charlie Chuck, and I’m the royal Chamberlain. Now here in Eggstonia it’s traditional for people to greet each other by saying ‘eggy-eggy-eggy’ followed by ‘oi-oi-oi’! So every time I come on I’ll shout ‘eggy-eggy-eggy’, and I’d like you to all respond ‘oi-oi-oi’! Will you do that? (audience respond) Wonderful. Let’s have a practice then. (exits and re-enters) ‘Eggy-eggy-eggy’! (audience respond) That wasn’t very loud, was it. Let’s try it again, shall we? (exits and re-enters) ‘Eggy-eggy-eggy’! (audience respond) Well done, that was eggceptional. When are the royal family arriving, Charlie? We’ve come to watch them give the speech to the Magic Wall. They’ll be arriving shortly. And the King will recite the magic rhyme, to ensure that Humpty Dumpty stays locked inside the egg for another year. And a good thing too. We don’t want that bad egg causing a big stink again. Villagers chatter and nod in agreement. The royal party are arriving! Villagers get into position ready to greet the royal party. King Benedict enters (SR) with Princess Shelly. (announcing them) Please welcome the royal family! King Benedict and Queen Omelette. And her royal highness, Princess Shelly! What a wonderful greeting that was, father. Yes, it was eggstraordinary. (to Villagers) Greetings loyal objects! How are you all? (they respond) Eggscellent! (to King) Where is the Queen, your majesty? (shaking his hand) Congratulations sire! The whole kingdom will be thrilled! Not that kind of bun, you fool! The eating kind. She’s baking a giant cupcake, ready for the Great Eggstonia Bakeoff. (aside to audience) I feel a proper Charlie, now. Now before I address the Magic Wall, I have a very important announcement. (snaps at Charlie) What is the matter with you? I’m sorry sire, it’s just that it’s my job to do all the royal announcements. Yes, sire. That is one of the duties of the Royal Chamberlain. Then get on with it man. If you can stop coughing long enough that is. Yes, sire. (announcing) His majesty wishes to announce that her royal highness Princess Shelly, is to be married to Prince Eggbert of Albumen next Friday! And the day will be declared a national holiday! (to Princess) Well that seemed to go down well. Now what else was I supposed to be doing here? Making a speech to the Magic Wall, father. Oh, yes. (searching his pockets) Now where is my speech? (handing him a scroll) Here it is, your majesty. (taking the scroll) Thank you. I’ll just put my glasses on. (searching his pockets again) They’re not here! Where are my glasses? Somebody has stolen my glasses! They’re on your head, father! (pulls glasses down) Silly me. I’ve made a spectacle of myself, haven’t I? (aside to audience) As always. Oh. (rolls further on) We are gathered here for the unveiling of…? (Charlie and Shelly, shake their heads) Wrong again? (they nod and he rolls further on) I name this ship…? (Charlie and Shelly shake heads) Dash it all! (rolls further on) Ah, here we are! As ruler of Eggstonia, it falls upon me to address the Magic Wall and recite the magic rhyme. So here goes. (clears his throat) Oh, great and mysterious Magic Wall…Music cue 4: (irritated) Now what? Sorry I’m late dear. Only I had a bit of trouble fitting the bun in that old oven. Father was just about to address the Magic Wall, mother. Because we agreed to take it in turns, and you did it last year. Now step aside. (pushes him aside) Citizens of Eggstonia! I am about to address our great and mysterious, Magic Wall. Whose presence keeps us free from trouble and strife. (to Queen) Do hurry up dear. Eggstonia’s Got Talent is on telly soon, and I don’t want to miss it. All right, there’s no need to ‘egg’ me on. (addressing the wall) Oh, great and mysterious Magic Wall…! Oh, no! My bun is burning! (to King and Charlie and Princess) Well don’t just stand there! Come and help me rescue it! But what about the speech to the Magic Wall? It will just have to wait, he wall’s not going anywhere is it? Now hurry! Queen sweeps off (SL) followed by King Benedict, Princess and Charlie. I’m not hanging around here all day. I’m off. Minnie Meringue enters (DSR) carrying a basket containing lots of small chocolate eggs. Yes, you! Stop annoying me? How can I be annoying you? I wasn’t even looking at you. I know, and it’s really annoying. I forgive you. (grabs him) Now how’s about giving me a big sloppy kiss? (resisting) Madam please! I have scruples! That’s all right, I’ve been vaccinated. (struggling to free himself) Gerrroff! Stop playing hard to get. I know you fancy me. By the way your face suddenly crinkled up, when you looked at me. That’s called a ‘grimace’. Anyway, I’m married. (frees himself) Goodbye! It seems everybody in Eggstonia is married, except for me. (elicit sympathy) I even tried using Pledge as a deodorant, hoping that men might take a shine to me. But it didn’t work. I can’t understand it. I mean, what’s wrong with me? (snaps) Who said ‘everything’? My last boyfriend was a karate expert, and could kill a man with his bare feet. Unfortunately, he kept getting beaten up before he could get his shoes and socks off. SFX: Peal of thunder. Lights flash and the egg starts to rock back and forth. SFX: Pyrotechnic flash and the Egg falls backwards off the wall. Oh look, the egg’s fallen off the wall. I’m sure there’s a rhyme about that, you know. Humpty appears from behind the wall. Did you give me a funny look just then? Well just watch it missus. You’re one of them, aren’t you? A mugger who’s about to frisk me all over, looking for my money. Have you got any money on you? No, but I could always write you out a cheque. Well as it happens, I’m not a mugger. Never mind, you can still frisk me if you like. But don’t you find me irresistibly attractive? No, I find you incredibly repulsive. How dare you! Everybody knows that I’m the most attractive and sophisticated woman, in all Eggstonia. (to audience) Aren’t I? (audience respond) Most men find me irresistible, due to my unusual speech impediment. I must say, your voice is out of this world! You mean, I sing like an angel? Actually, I’m a bit of an egghead. Well if you’re so clever, then answer me this. If frozen water is called ice, and frozen cream is called ice-cream. What do you call frozen ink? I wondered what that rotten smell was. (to audience) He must be a bad egg. Yes, I am! I’ve been stuck on that rotten wall for years, but now I’m free to roam wherever I please. A Man walks across stage shouting. A E I O U! A E I O U! I think he has irritable vowel syndrome. (to audience) I don’t know who she is. But she looks like a shiver waiting for a spine to run up. (to Minnie) What are you staring at? I don’t know, but it’s staring back at me. Well she’s making me feel sick. I was wondering when you’d return and release me from that rotten egg, mistress. Well now I’m here, it’s time to get our hands on the King’s crown and take over Eggstonia. (jumping up and down with delight) Goody-goody! I can’t wait to get my revenge on those rotten Eggstonians. Come along Humpty. It’s time to show everyone just what a bad egg, you really are. We’re back! (looking around) Where is everybody? (spots the empty wall) And so has the egg! No, it’s gone off the wall! Oh no, that means I’ll lose my crown! Whatever shall I do? You must act at once your majesty! I am acting! (swaggers) And doing it rather well, if I may say so myself. (to King) He means do something, you silly old fool! (sees the Egg has gone from the wall) Oh no, I’m too late. Humpty’s free. Salmonella! But I banished her from Eggstonia forever. Well she’s returned, and is planning to wrest the crown from your head. I’d like to see her try. We beat her once before and we’ll beat her again. It won’t be so easy this time. Her powers are much stronger than before. 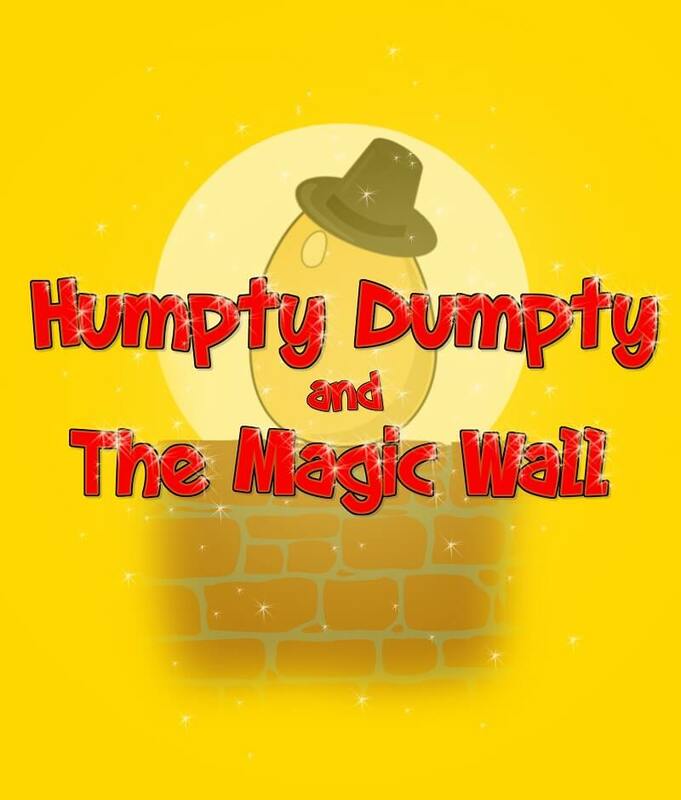 The egg must be restored to the Magic Wall within 24hrs, or its power to hold Humpty will be lost forever. But how can we restore Humpty’s egg to the wall? I know how. (shouts) Send for all the king’s horses and all the king’s men! SFX: Clippity-clop of horse hoofs are heard. Sergeant Yolk and Corporal Eggwhite enter (SL) each banging two halves of coconut shells together. (pulling on imaginary reins) Woah boy! Where are your horses, sergeant? (waving coyly at the Sergeant) And you-hoo to you too, Sergeant Yolk. Due to government cutbacks, the royal horses have all been sold to the UHU Glue factory. That puts us in a rather sticky situation, doesn’t it. Where are the rest of your men, sergeant? I’m afraid they couldn’t keep up with us, your highness. There weren’t enough coconut shells to go round. (to Sergeant) The egg has fallen off the Magic Wall, and released Humpty Dumpty. And it is your duty to put it back together again. Don’t worry your Majesty. Humpty will be back in his shell, before you can say ‘scrambled egg’. (to Queen) Come dear, let us return to the palace and leave it to the eggsperts. (to audience) There’ll be a prize for anybody who can correctly guess, how many egg-based puns are used in this show. The others exit (SR) leaving the Sergeant and Corporal alone on stage. Music cue 7: A troop of Soldiers march on (SL) in a rag-tag manner. (to Corporal) Line the men up corporal! Yes, sarge! (to Soldiers) All right you lot, line up! The Soldiers line up facing the audience. (walking up and down the line of Soldiers) Stand up straight! Chest out! Stomach in! (to Soldier 1) Do you know your shoes are on the wrong feet soldier? But these are the only feet I’ve got, sarge. (to Soldier 2) How long have you been in the army, son? Ever since I joined up, sarge. (to Soldier 3) Would you call yourself ‘brave’ soldier? Yes, sarge. I once watched an episode of the Tweenies with the lights off. (to Soldier 4) How strong are you, laddie? I can tear a telephone directory in half with my bare hands, sarge. (to Corporal) Right then, corporal Eggwhite. I want you to scramble over the Magic Wall, and assess the state of the egg. (salutes) Yes, sarge! (scrambles over the wall and out of sight) Ugghh! (stands up) Phwoar! Not half sarge. It smells like our barracks after curry night. All right, pass the pieces of shell over the wall. What are we going to do with all these bits of shell, sarge? We’re going to take them back to the barracks, and piece them all together again. Oh goody, I love doing jigsaws. Let’s go men. At the double! Quiiiick…march! Left…left…left right, left! Music cue 8: All exit (SL) with the pieces of shell.